Have you ever wondered how off-key you are while singing in the shower? Or if your Bob Dylan albums really sound better on vinyl? Or why certain songs make you cry? Now, scientist and musician John Powell invites you on an entertaining journey through the world of music. Discover what distinguishes music from plain old noise, how scales help you memorize songs, what the humble recorder teaches you about timbre (assuming your suffering listeners don’t break it first), and more. Nearly everyone will get something out of this! What do all those lines and squiggles and dots mean? 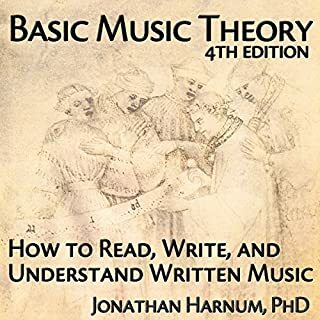 Basic Music Theory takes you through the sometimes confusing world of written music with a clear, concise style that is at times funny and always friendly. The book is written by an experienced music teacher using methods refined over more than 30 years in schools and in his private teaching studio. Lessons are fun, well-paced, and enjoyable. Music can move us to the heights or depths of emotion. It can persuade us to buy something, or remind us of our first date. It can lift us out of depression when nothing else can. It can get us dancing to its beat. But the power of music goes much, much further. Indeed, music occupies more areas of our brain than language does - humans are a musical species. The focus of this book is music practice, but these techniques and mindsets can be applied to any skill you want to improve. The Practice of Practice covers essential practice strategies and mindsets you won't find in any other book. You'll learn what research tells us about practice, but more importantly, you'll learn how great musicians in many genres of music think about practice, and you'll learn the strategies and techniques they use to improve. In Creative Quest, Questlove synthesizes all the creative philosophies, lessons, and stories he's heard from the many creators and collaborators in his life, and reflects on his own experience, to advise listeners and fans on how to consider creativity and where to find it. He addresses many topics - what it means to be creative, how to find a mentor and serve as an apprentice, the wisdom of maintaining a creative network, coping with critics and the foibles of success, and the specific pitfalls of contemporary culture. Hancock discusses his musical influences, colorful behind-the-scenes stories, his long and happy marriage, and how Buddhism inspires him creatively and personally. Honest, enlightening, and as electrifyingly vital as the man who wrote it, Herbie Hancock promises to be an invaluable contribution to jazz literature and a must-read for fans and music lovers. Best known as a founding member and principal songwriter of the iconic band Talking Heads, David Byrne has received Grammy, Oscar, and Golden Globe awards and has been inducted into the Rock and Roll Hall of Fame. In the insightful How Music Works, Byrne offers his unique perspective on music - including how music is shaped by time, how recording technologies transform the listening experience, the evolution of the industry, and much more. 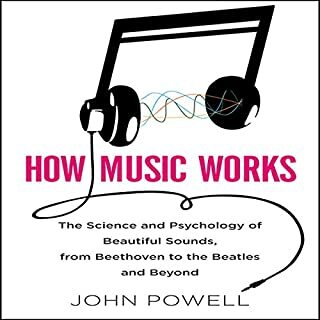 "How Music Works" is probably not quite the right title for this book. 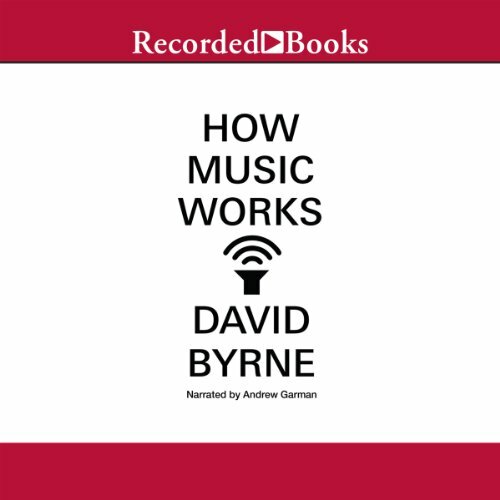 "How Music Happens" is a better suggestion as to the content of this fascinating and highly accessible book by David Byrne, best known as the lead singer from Talking Heads. 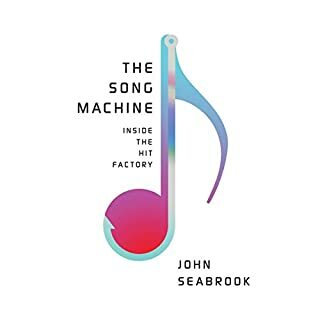 The book tries (and succeeds) in communicating how music throughout history has evolved according to both the context is it is written in and how technology advances. You don't have to be a musician or need to understand music theory to appreciate the book as it is written with the layman in mind and the many anecdotes included in the book are both fascinating and occasionally humorous. The book explores classical music, world music, jazz, rock and electronic music and how all forms of music absorb influences from other genres, how they are composed according to the uses of available recording and musical instrument technology, and how the anticipated audience also influences the final product. It also explains how various instruments were either used or adapted to suit the venues they were being played in and to rise in volume above the music they were playing alongside. Learn why the first rock and roll singles were almost exclusively three minutes long, why Louis Armstrong had to be placed at the back of the room when recording or how tape may never have come to the forefront as a recording technology had Bing Crosby not wanted to play more golf! For the David Byrne fans out there, there are also some brief insights into his evolving songwriting process, from young teenager, through his Talking Heads Years and on to his solo work, although these are certainly only a minor focus of the book. The book is also written in Byrne's sometimes cute / earnest , matter of fact style and I found his writing to be witty and entertaining. Highly recommended to all music lovers. Narration is reserved but good. Byrne writes like a Malcom Gladwell in the music world. To me, that was interesting enough to keep me hooked because I didn't realize David Byrne was so smart and normal. 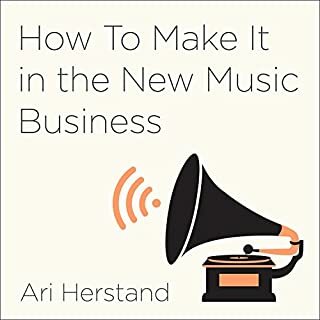 I would recommend this book if you are trying to "figure out" music. Not that he claims to understand music completely. He tries to keep a balanced view and show the realm of possibilities of "how music works." Sometimes he goes on long tangents, talking about his projects after Talking Heads (which was sometimes interesting). It was a great book to have in the car on the way to and from work. What was one of the most memorable moments of How Music Works? His section on music writing collaboration. For me, as someone in a band, I really took away some great communication techniques. The narrator was OK. I felt he seemed to miss Byrne's connotation sometimes. He also doesn't know how to pronounce "timbre." I feel like Byrne definitely didn't listen to this audiobook and OK everything. Nothing too extreme. There were parts that were very exciting, like when he related to exactly what my band is going through right now. I would say that if you are still enchanted with The Talking Heads sound, don't read this book. I haven't listened to them since reading it, but I suspect some of the magic may be gone when I do. This is ok for me, because one day I hope to reach levels that David Byrne reached. Or if you are a music fan, and want to see behind the scenes, it will be a fun read. You may want to skip through some parts, but overall it's worth it. It's very unfortunate that the only other review on here was from some conservative person. Yes, Byrne goes on a few little rants in favor of liberalism, but i wouldn't say that's his main objective. Yes. I am a music fan first and although I really enjoy Talking Heads and David Byrne I would not consider myself a huge fan. 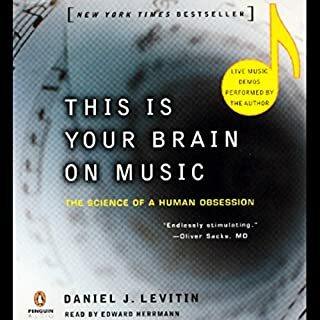 With that said this is a very good book for anyone who likes music and want to understand it more. It comes off as thoughtful and well researched, with a point of view. I recommend it highly with those caveats and parameters. Well David Byrne is essentially the character here ....his viewpoint is fascinating. I like the fact that he is explaining why his artistic taste and choices are what they are. Whether you agree or not, it's interesting. Have you listened to any of Andrew Garman’s other performances before? How does this one compare? No but I thought he did a good job, well done Andrew. Having been to CBGB's I thought it was funny how he clinically described that down trodden club. His focus on acoustics and performance context was something I never thought of when in that space. There have been a few other good music books I have read recently "The Life and Times of Brian Eno" and "Love Goes to Building on Fire"; both were very good. I would put this book on that par. If you are fan of musicology, the process of how art is made, anecdotes about a localized music scene and insight into how music gets made this is a great book. This is not a revealing, personality driven book about the rock n roll lifestyle. It descries music as art. I really enjoyed it, and I am glad I read/listened to it. Mr. Byrne has spent a lifetime living and breathing music, so it's not surprising that he had some ways of looking at it which hadn't occurred to me. 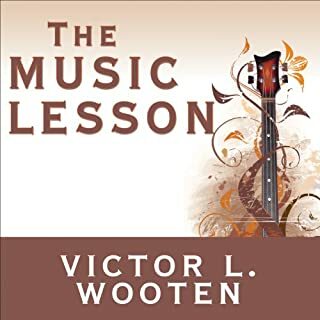 An encouraging, thorough book which will give you a different perspective on music even if you already know a lot about it. I'd recommend it for every performer especially as it can inspire you to improve the show you put on. What made the experience of listening to How Music Works the most enjoyable? I most enjoyed Byrne's insights into the craft of songwriting and recording. I also found his theory on how music is created to best suit the venue or medium at hand fascinating. His chapter on "How to create/start a scene" chapter is lots of fun, as it simultaneously discusses the specific history of the 1970s CBGB "scene" and also describes the different factors that went into making that whole chapter the seminal part of music history it (retrospectively) became. Which character – as performed by Andrew Garman – was your favorite? The book is written as a series of discrete, essay-like chapters. I enjoyed listening to it in bits and pieces over a week or two. Although there are sections here and there about Byrne's years working with the Talking Heads (and with Brian Eno), there's so much more to the book than this. You don't need to know his specific body of work at all in order to enjoy this... although it definitely makes the book more enjoyable if you do. I enjoyed this exploration of music with David Byrne as the talking head, gently guiding the listener through how music (and the music business) work(s). Like several nonfiction books I've read/listened to lately, my big complaint is I wish he just gave us more, dug a bit deeper, and perhaps hired a better editor. I like that the book was infused with Byrnes' own populist, funky, musical biases. It seemed autistically casual. Like talking to a really open person who isn't trying to hide or pull the shades on his own past. He didn't shy away from his own mistakes and his own life. He used Talking Heads and his own albums as examples of the different ways music can be done and sold. His interests allow this book to move from punk to African music to soundtracks, etc. One of my favorite themes of Byrne's reminded me of the last book I read (The World Beyond Your Head: On Becoming an Individual in an Age of Distraction). David Byrne seemed passionate about not just music alone, but music's place in our social networks. How music is both a communication with others and reflective of our community. In his more zen moments he even rambles on about the music of the Universe, etc. Byrne's biases were occasionally annoying. He did seem to carry a pretty large dark spot right on-top of classic music's basic repertoire. His politics, or musical reactions to politics, also seems a bit naïve. But all is forgiven, in the end. This is a guy who is not afraid to put himself WAY out there, describe the scene as he sees it, and figure out a way to make the people around him want to dance. And THAT I guess says a lot and hides a multitude of minor sins as we dance into the darkness. Before listening to "How Music Works", based on what I knew about his music (his Talking Heads days anyway; my favorite album was "Remain in Light"), I thought to myself: does he mean "How Modern Pop Music Works"? But after listening to it, I now think that the title is appropriate, at least up to the current period. This book covers a wide range of topics, including: how the historical, social, and technological environment shaped the type of music; what he was feeling/thinking while going through the experience of making music with Talking Heads in the lower east side of New York City in the 70s and 80s; how different cultures and people influenced his music; the financial aspect of making music in the current music production environment, and more. I can tell that he is extremely well read, but his interpretation of cultural/social aspects of music is unique, I think. He is also a very good writer. I really enjoyed this book. Excellent work! Vast and important. Brilliant coverage of all things music from the mind of a relative artist. Very Impressive! I've recommended this audiobook to friends who play music. Some of them would be more likely to read it themselves and that is cool too. As long as the ideas are passed on. The wisdom in this book is overflowing. I was disappointed that David Byrne didn't do the reading for this recording. but after a chapter or two I forgot that I cared who was reading it. Honestly the words are so Byrne that by the end of the book I thought Garman was Byrne. Listen enthralled - music to your ears! Wonderfully stimulating musical experience! A fascinating listen at multiple levels - David Byrne himself, music and its place in our lives, and the transformation of music in contemporary times. Byrne is simultaneously academic and accessible - quoting research while sharing stories from his own life experience, challenges, joys and relationships. An underlying theme is about creativity and how it is facilitated and stimulated. He offers examples of innovation and engagement. He shares insights from his wide-ranging collaborations, demonstrating how they have added value, sometimes unpredictably, to his own art. He describes his sources of inspiration, his values, and his interface with the music industry. He offers perspectives on the place played by music in our lives and the lives of others: music as therapy, as expression, as mediator of community and repository of collective memory. Byrne examines the mathematics of music, its evolutionary role, and the common threads across styles of music, languages and cultures. He rails against snobbish conceptions of 'good music' and the associated dismissal of swathes of creativity. Byrne offers a compelling insight into music as both a reflection and creative enabler of humanity, emotion, and experience. He is committed to equity in engaging with music in all its diversity. He challenges the conventional view of an hierarchy of musical genres with opera and classical music at the pinnacle. He argues against a view that while all music is of value, some is more valuable than others (excuse me for putting words in his mouth; but it reminded me of Orwell's Animal Farm - see my review). He argues that different people will appreciate different forms and genres, deriving meaning from them at different times and in different settings. Issues are explored through anecdotes and stories, personal insights, references to science and art and their interface. Byrne is humble and witty, reflective but never pontificating. A wonderful and stimulating listen - all that was missing was the musical accompaniment - something Byrne should work on for those of us who enjoy his music as much as his interesting insights and stories! This has proven a very interesting, and different, title. David Byrne starts the book with a very brief replay of his own career just to set the ground rules before he segues off to explore aspects of music many of us may never have considered. As well as a most informative section on how the modern music industry works, and the challenges it faces in a digital era where the majority of 16-24yr-olds (always the biggest customer base) can't understand why they are required to pay for music, Byrne also asks why society considers classical music as 'Good' (often used in films to denote a gathering of educated, successful people) and pop music as subversive and therefore 'Bad'. A must-have title for anybody with an interest in music, old and new, and definitely worth a repeated listen. Good book, but the narration grates a little! It's a great book, but the narration grates after a while! Sorry, but that's just how I feel. David Byrne was fantastic. loved the listen after initial struggle but soon couldn't stop. so much to ponder in relation to my life as a consumer of music and as a performer. Pompous highly biased and self indulgent drivel. not very true to the title. this book should renamed: The david Byrne story. if you are a fan of the man and the band you may find it interesting as it's all written as a personal account if his life story and his own subjective view of music. The voice of the narrator adds to the pompous nayure of the book. I stopped half way through the book as I could take anymore. This book is an essential listen for all music fans and those not just seeking Bryne's work with Talking Heads. Brilliant tour of the evolution of the recording industry and its impact on the creative process from someone who has been there and seen it. A brilliant book and reading that is distinctively unique. Like Byrne himself; idiosyncratic and thought provoking. I was pleasantly surprised and impressed by this thorough study into the psychology, history and effect if music. Very dense,packed with information, well researched, rhe kind of book I actually will get a hard copy off as well rouse as reference. The performance could send you to sleep after 5 red bulls. The title is a bit misleading. Long topics about how he dressed as a performer and the lighting used just made me lose interest constantly. Awesome, very thought provoking and well researched work, definitely worth the listen I enjoyed it.